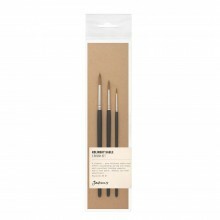 These brushes are made with the highest quality synthetic available, a silver ferrule and a simple but effective black polished handle. 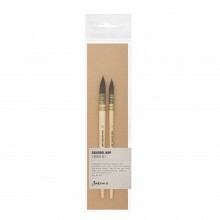 They have a superb point, great colour holding capacity, a lovely spring and all put together to make a top class water colour brush, not to mention the incredible price. If you can find a better brush at a lower price we would like to know because we don't think it is possible.